Chord Accessories | Reviews and products | What Hi-Fi? Chord's superb analogue interconnect will help liberate your system’s potential. Chord Company’s mastery of the speaker cable shows no sign of waning. Chord's replacement for the old Active HDMI cable is equally as worthy as its storming predecessor. For £95 what's not to like? 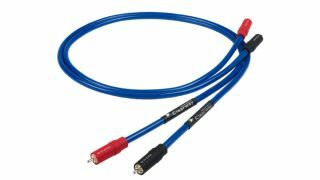 Chord Company SuperScreen mains cable will give your system superior solidity. Designed specifically for iPod-to-hifi connectivity in mind. It sounds excellent.